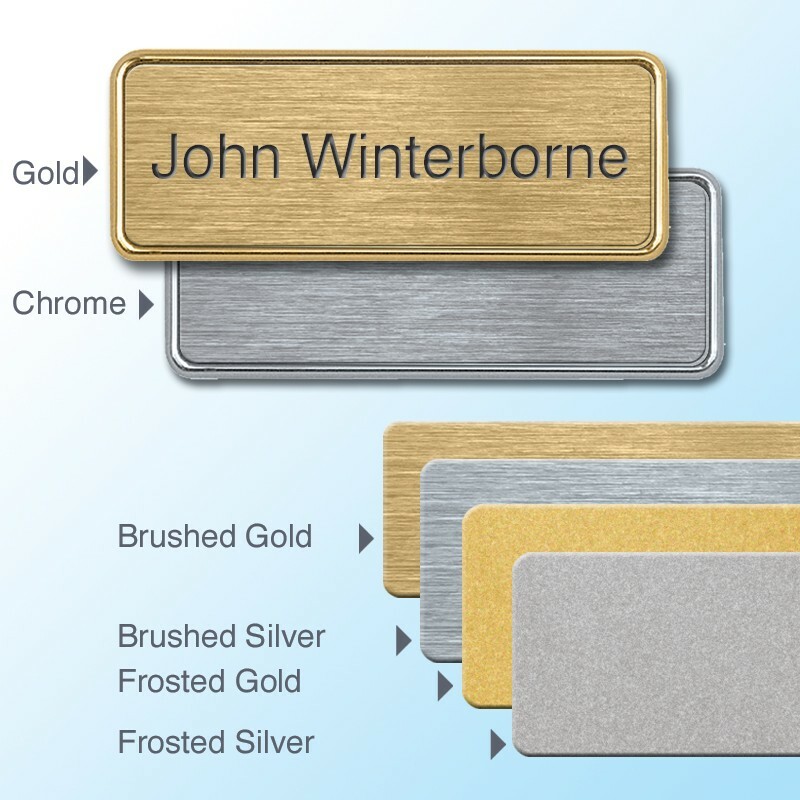 1 Line of personalisation, choose from gold or chrome finishes. Executive style badge. 58x22mm. 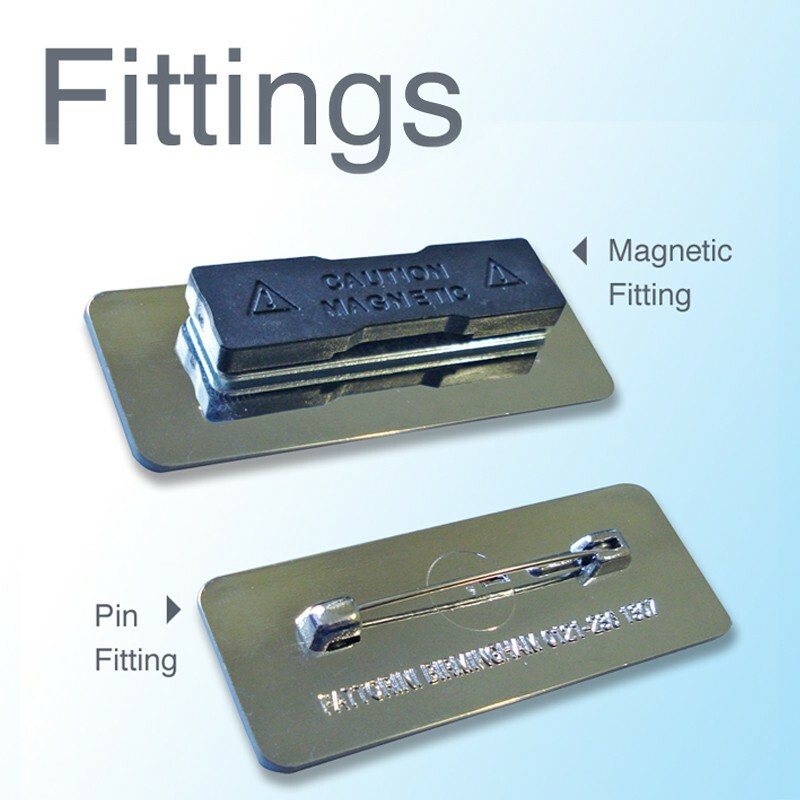 58 x 22mm Executive Badge that's professionally personalised with the details you supply. 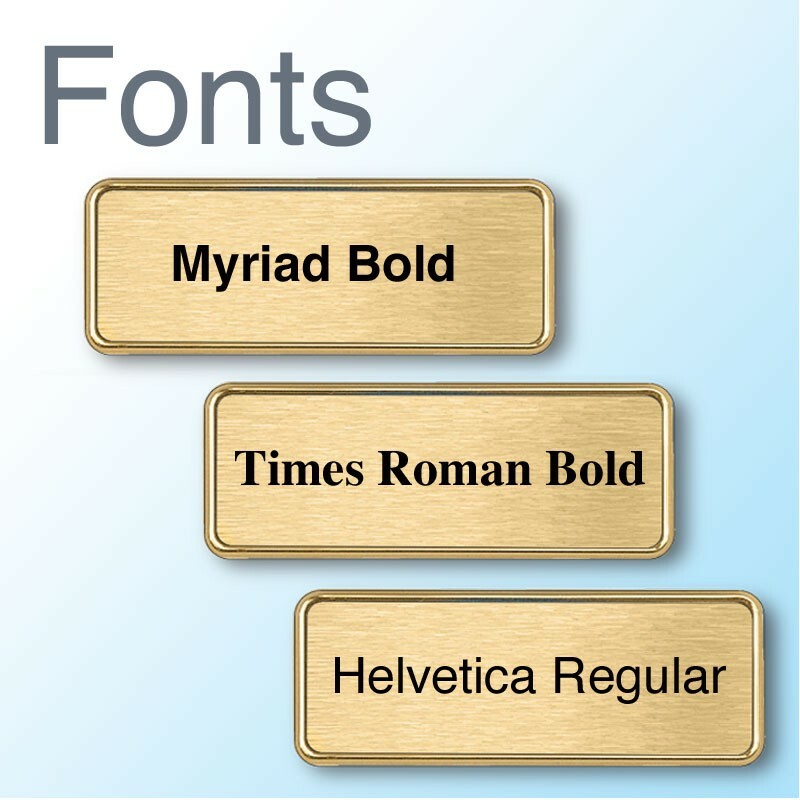 As a guide this badge suits up to 20 characters of text (24 Max) in the Helvetica Regular font.